Body sculpting exercises involve the process of finding the perfect way to shape your body in the best way possible. While it is definitely not all about building up your muscles to the point where they are as large as they can possibly get, you will probably need to learn about various ways to build muscle in the beginning. Most people don’t start with a great body while they want to learn how to sculpt their body, so it’s going to be important to build some muscle so you have something to sculpt at all. The best body sculpting exercises you are going to be able to find are actually the ones that require no gym membership or equipment in your own home. The natural way of building muscle is almost always the best way because it gives your muscles the ability to grow without being pushed beyond their limits. Injuries and health problems can be avoided when you are just doing pushups and sit-ups because you won’t be dealing with any heavy equipment that could cause some problems. Most people think of hitting the gym when they want to build muscle, but sculpting your body is actually quite different from just becoming a gym rat. To sculpt your body and make it look like a statue that could be on display at any museum, you will simply need to get your body as active as possible throughout the day. This is a challenge for many people around the world as more and more people are taking jobs in office cubicles rather than working outdoors. The two main body sculpting exercises you should concern yourself with are pushups and sit-ups. 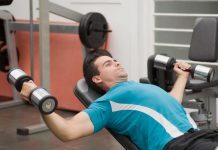 These exercises are all about building muscle slowly in your arms, chest, shoulders, back and abs, so you will be able to hit a lot of different areas in your body with a few simple exercises. Variations should be used as often as possible with these exercises to make sure you get as many muscles worked as possible during your exercise routine. 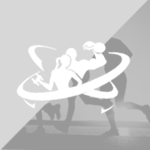 Another important type of exercise you will need to shed some fat and let your muscles show is jogging or sprinting. It is actually beneficial to do a combination of both of these exercises if you want to shed some fat because each type of movement has its own benefits. 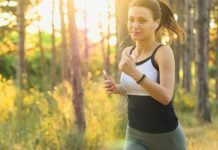 While there is not a lot of muscle to be gained with jogging, it will definitely make it easier to see the muscle that you’ve already put into your body. It’s important to remember with any exercise routine that you need to stick with it as long as possible if you want to get a better body. Body sculpting exercises are no different, and you will need to make sure that you actually follow through with your plans to see real results at the end of the day.